Offered in oval shape dispenser which made it perfect for urological operation. For ease of operation by physicians this guidewire have on rigid end and one flexible end. 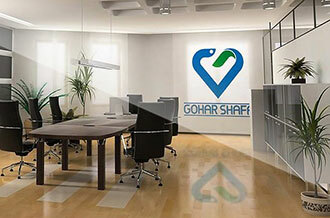 With protective sheath which prevent the guidewire from possible damages during handling and transportation. Fully rounded tip of guidewire promotes easier negotiation around ureteral obstructions and prevent and damage to body tissues. Our guidewire has a uniform PTFE coat and tight tolerance in production make it compatible with all surgical devices and tools. 1:1 torque ratio from tip to the end of guidewire. puncture the Vessel with a two-part needle. When using a two-part needle remove stylet leaving cannula in place, insert flexible (distal) end of guide wire through cannula and into vessel. 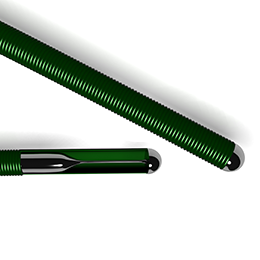 “J” guide wires are shipped with “J” straightener to aid in the insertion of the wire into the puncture needle. Advance the straightener until 2-3 mm of the tip extends from the tip. Insert wire into hub and through needle. Remove “J” straightener proximally and discard. Remove needle cannula leaving the guide wire within the lumen of the vessel. Pass dilator or catheter over the guide wire directly into the vessel. Carefully remove the guide wire leaving the catheter in place. For One Time Use Only. Guide wires will collect blood and other foreign material in their lumens; neither autoclaving nor ultrasonic cleaning will completely remove foreign material, therefore guide wires are recommended for one-time use. Avoid bending the Guidewire during or prior to placement as to do so damage the integrity of the guidewire. Do not use excessive force to advance the moveable core while the guide wire is in a vessel. Advancement with excessive force may cause coil penetration and vessel damage. Avoid withdrawing PTFE coated guide wires back through a metal needle. The sharp edge of the needle may scrape the coating. It is suggested that a catheter or PTFE vessel dilator replace the needle as soon as the guide wire has reached the appropriate position. Care should be taken when manipulating a catheter during placement and withdrawal to prevent possible intravascular tissue damage. If resistance is felt when removing a guide wire from a catheter, the guide wire and catheter should be removed as a unit to prevent potential damage to the vessel wall. A guide wire is a delicate instrument and remains the most fallible instrument used in a percutaneous procedure. Any time that a guide wire is used there is a possibility of thrombus formation/emboli, vessel wall damage, and plaque dislodgement, which could result in myocardial infarction, cardiac arrhythmia, stroke or death. The physician should be familiar with the use of angiography products and the literature concerning the complications of angiography. In order to reduce the potential of clot formation, it is recommended that the guide wire be flushed with saline or heparinized saline prior to use. Attach a filled syringe to the luer hub located at the end of the plastic hoop, flush several times. After flushing, remove guide wire from hoop and use as described above.